Determining healthy weight is a complicated issue. We can observe the variability in just looking around us; obviously, we come in many different shapes and sizes. Regulation of body weight seems to be a mix of a variety of factors, most notably genetics and environment. 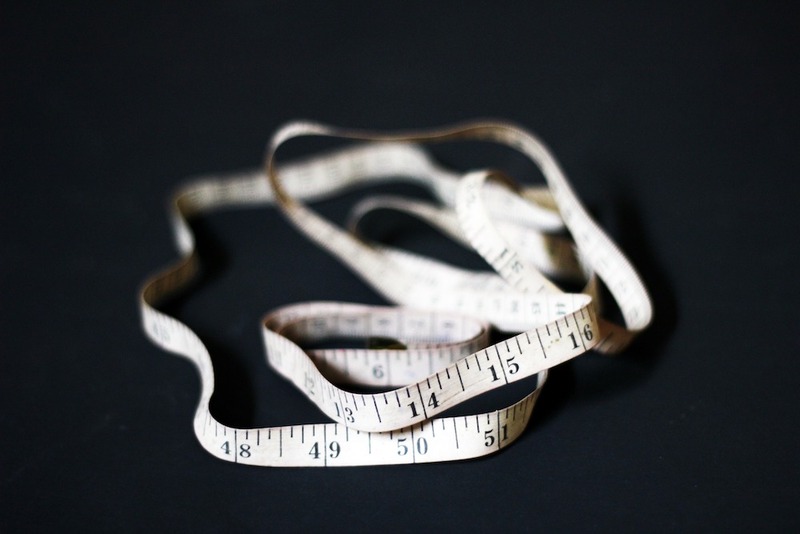 The issue becomes more complicated when we try to use weight to measure health. The way this is done is typically through the Body Mass Index (BMI), a weight-to-height ratio, calculated by dividing weight in kilograms by the square of height in meters. This number is then used to classify someone as “normal weight”, “overweight” or “obese”, which supposedly correlates with morbidity and mortality. Being classified as “overweight” or “obese” based on BMI is seen as a risk factor for the development of several health issues. But is that accurate? Does BMI accurately measure fitness or fatness, and does having a higher BMI actually come with greater risks for health concerns or mortality rates? There are three distinct drawbacks to using BMI as a measurement of health. 1. BMI was never created for or meant to be used on individuals. It was originally created in the 19th century by a Belgian statistician (not a physician or medical researcher) by the name of Lambert Adolphe Jacques Quetelet who was trying to assess the collective weight of a population (men only). However, it’s easy and quick, which made it more convenient for doctors and insurance companies to use. 2. BMI is only concerned with height and weight. It doesn’t factor in muscle mass, hydration status or bone density, and therefore isn't an accurate measurement of fitness or fatness. 3. BMI correlations to morbidity and mortality do not take into account genetics. Dr. Frank Nuttall wrote a critical review of BMI research for the journal Nutrition Today in 2015, showing the classifications given by measuring BMI may be misleading. In fact, he found that the lowest death rate "was among those in the 'overweight' category, and this was particularly true among the men. There also was a broad range of BMIs over which there was little difference in mortality (BMI of 23.5 to 30)." Many people are very surprised by this — the "healthiest" BMI bracket correlates with the "overweight" category. The draw for using BMI to measure health is easy to see — it’s fast, clear-cut and objective. However, a closer look makes it clear that there are other factors to consider and a healthy weight may be more subjective and variable. Most importantly, while BMI may be correlated with increased health risks, it's vitally important to remember correlation is not causation. It could be that we are comparing apples to oranges, with other characteristics and variables that aren’t being considered. The best explanation is found in this Poodle Science video from the Association for Size Diversity and Health. Amy Herskowitz is a senior consultant for community health care government programs in Canada who produced the video. She wrote a blog post for the Association for Size Diversity and Health to explain why the Health At Every Size (HAES) model is a better way to approach health than using BMI. Herskowitz also explained in the post why she made the video: to quickly and easily explain to the public why health is determined by more than just height and weight. "The HAES paradigm builds on the research showing that social determinants of health: socioeconomic status, equality, equity, social support, and freedom from racism, violence, sexism, poverty, weight stigma, and so on, are the most important contributing causes of health disparities, and yet, they are rarely addressed within medicine or the clinician-patient relationship," Herskowitz wrote. "A lack of attention to these issues, combined with an obsessive focus on arbitrary numerical cutoffs that define health and disease, allow capitalist market concerns like profits from drugs, surgeries, diets, and procedures to trump scientific inquiries that establish how to optimize our well-being."